Reform Options for a new Australia? In my last post I opened up the questions about a disruptive force out there to induce change and what potential options may exist. In this post I am proposing an option – the creation of a political party where its foundations lie in the values and principles of Lean and Agile. This party could be funded through crowdfunding, with a policy statement drafted to kick it off. Reform tax to influence spend on sustainable environment strategies. I know of an organisation in Australia that has 15000 employees and their spend on being sustainable is 0.5 FTE. It is abhorrent and needs fixing. Reform tax to dampen usage of offshoring. Dedicate funding to a Lean Startup incubator. Capital investment is almost impossible to get in Australia. I want to encourage new small business, but I am also conscious that the success rate of Lean Startups is only 3%. We need to listen to the world experts on how we can turn around global warming and start taking action right now. They have the answers and a hypothesis of what needs to be done. We need to begin work on the dramatic changes needed, though I suspect some of the corporate reforms would make a headway into it. Support the front lines of hospitals. They do not have enough staff and financial support to exist in a sustainable manner. 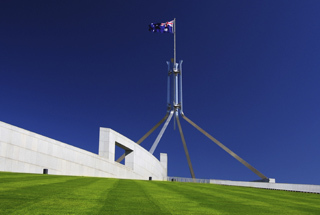 What policies would you have in a Lean Agile Party that focuses on a new Australia? I’d make it a basic premise that the role of government is not to be a profit source for the private sector. As such, all outsourcing arrangements should be abandoned and the public service expanded to fill the roles (over time, with suitable transition). The exception would be where there are genuine savings – e.g. relatively rarely used services or equipment. If the government can’t run the public service as efficiently or effectively as the private sector – which, after all, is trying to make a profit – then they should be turfed out. As it is now, the public service can’t even support the government in formulating policy – too much of their expertise has been lost.